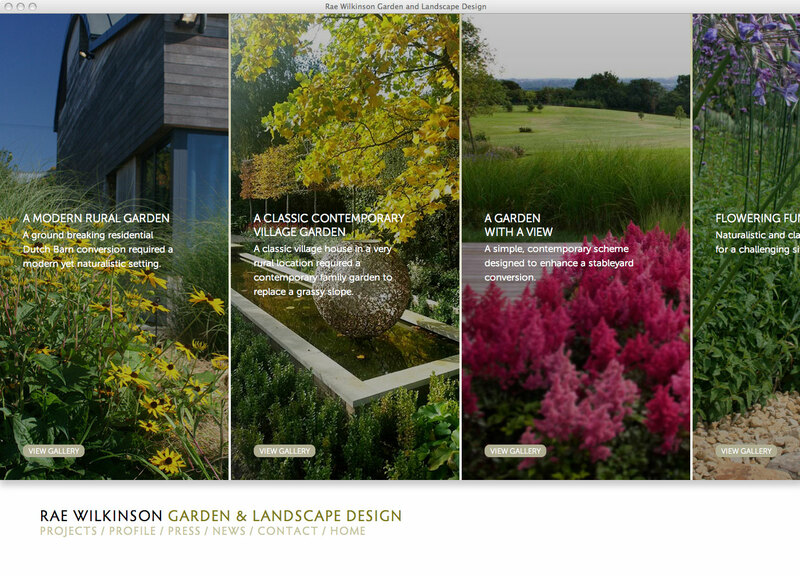 A bespoke portfolio website features an unusual image gallery. 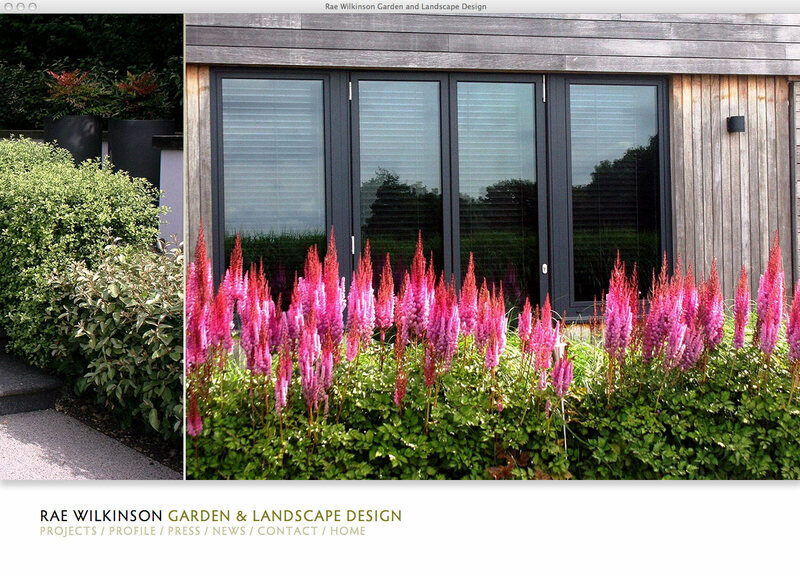 Award-winning designer Rae Wilkinson creates stunning modern, classic and sustainable gardens with a naturalistic feel. 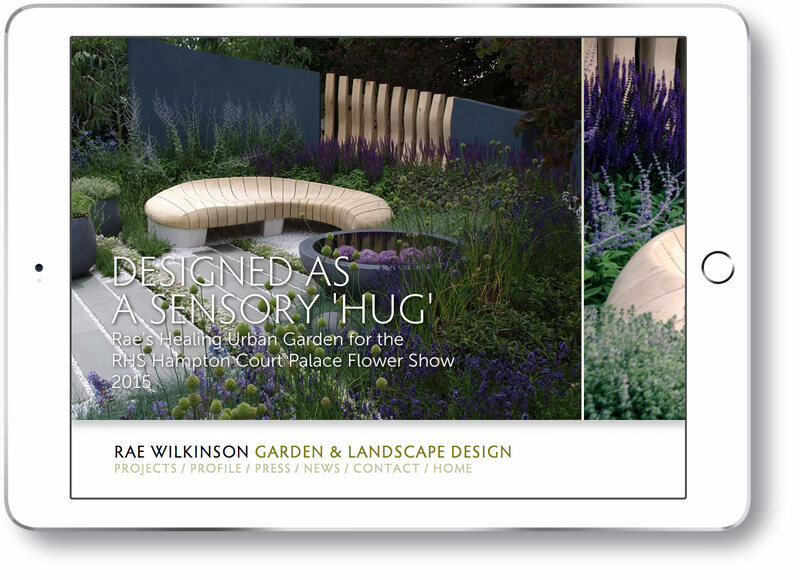 Rae believes that creating landscapes involves harnessing the beauty of nature to awaken the senses and enliven the spirit, and in making outdoor living spaces beautiful and useable, whilst sensitively connecting them to their setting. 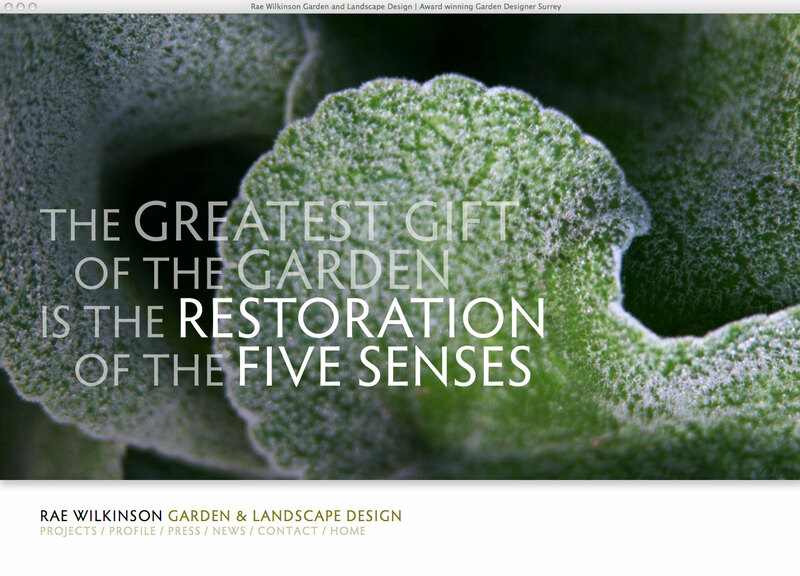 With more than 20 years' experience as a gardener and garden designer, Rae has developed a deep knowledge of horticulture, but her creative approach and sense of style is rooted in her background in art and sculpture. This was strongly in evidence in our discussions about the design of her website - the latest of a number of sites we have designed for her. Rae wanted the site to reflect her own design ethos and approach to her work, to be immediately engaging, strongly visual, light on text, and a pleasure to visit. 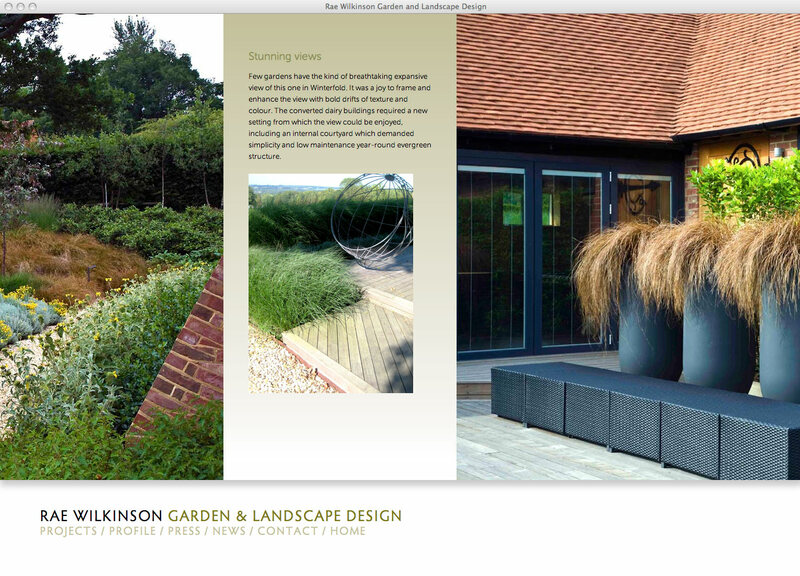 As part of our solution, we unconventionally anchored the identity and menu at the bottom of the screen rather than the top, and in the upper section developed an unusual, horizontally scrolling contents and portfolio format to engage visitors quickly with the wealth of images Rae has for each garden project. 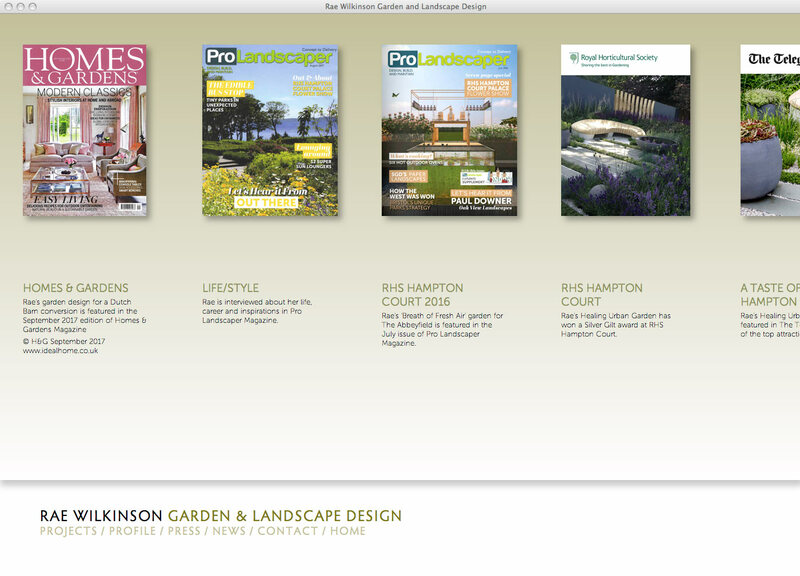 The format looks and functions well for all devices and is particularly effective on tablets. Working with James is enjoyable as he has deep knowledge of tech combined with a creative mind. 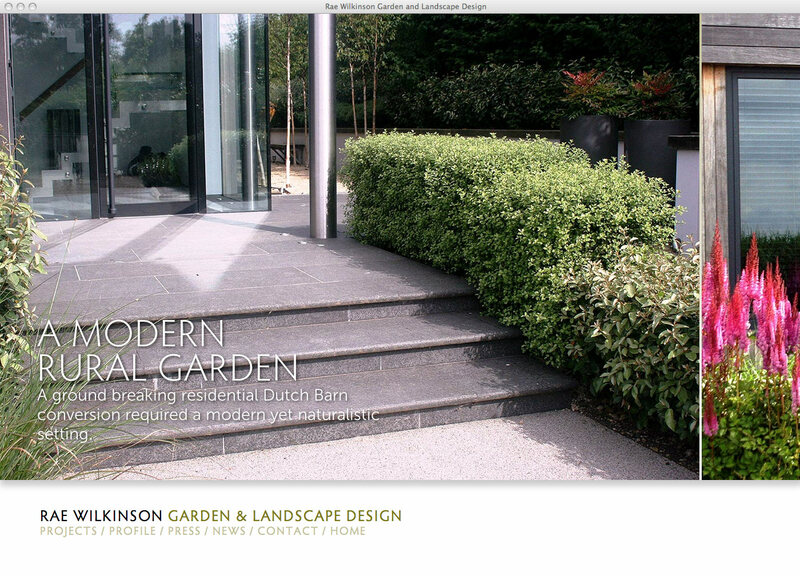 He managed to capture my own creative approach with his very visual and cutting-edge design for my website. The layout is innovative and inspired and he has an amazing eye for visual content. 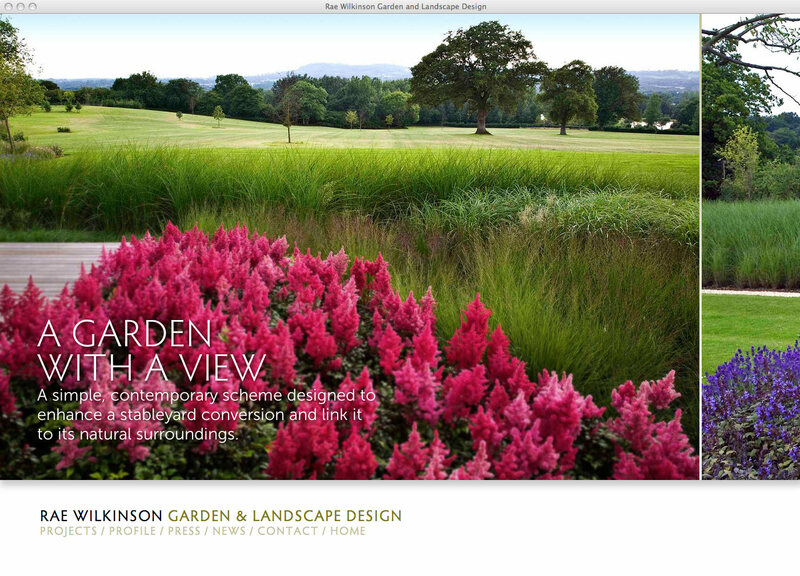 Consequently visitors to the site have a very positive response.